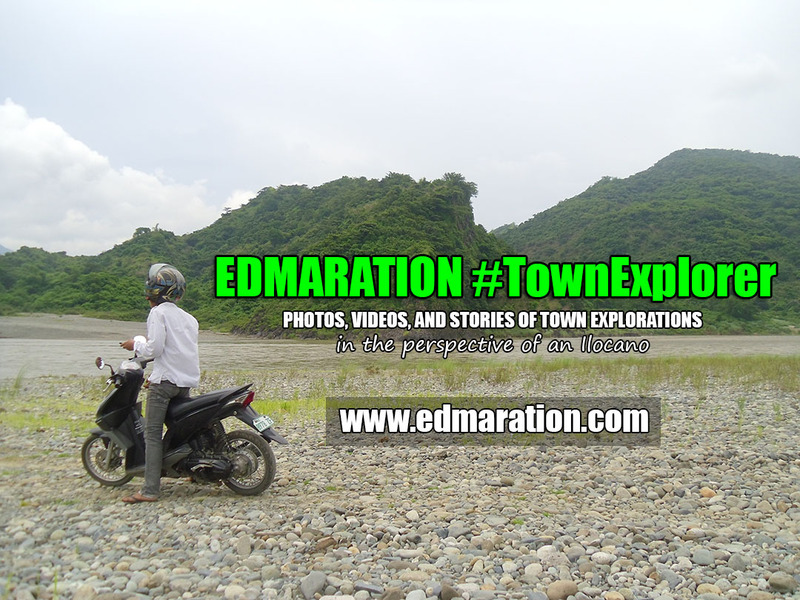 "...no modern restaurant in Dagupan could ever take the place of these local food in the hearts of Dagupeños and visitors like me." 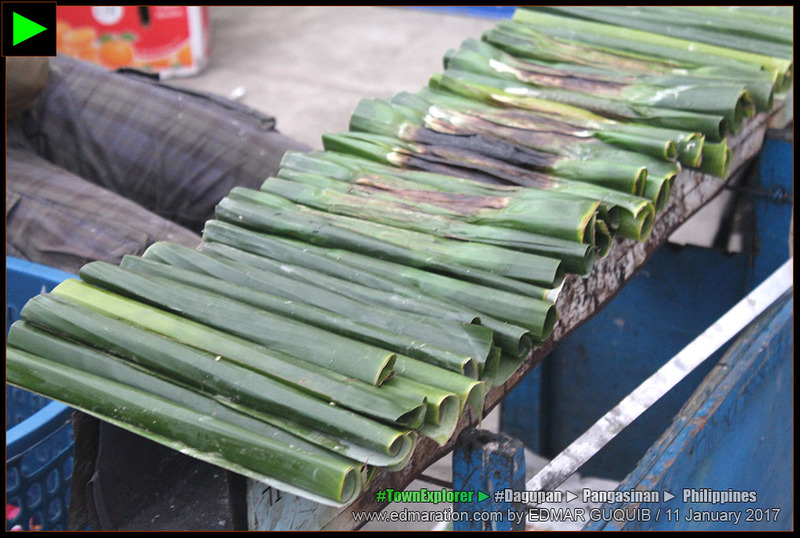 [DAGUPAN, PANGASINAN PROVINCE, ILOCOS REGION, LUZON ISLAND, PHILIPPINES] ► Bangus (milkfish) has somehow become synonymous with Dagupan. 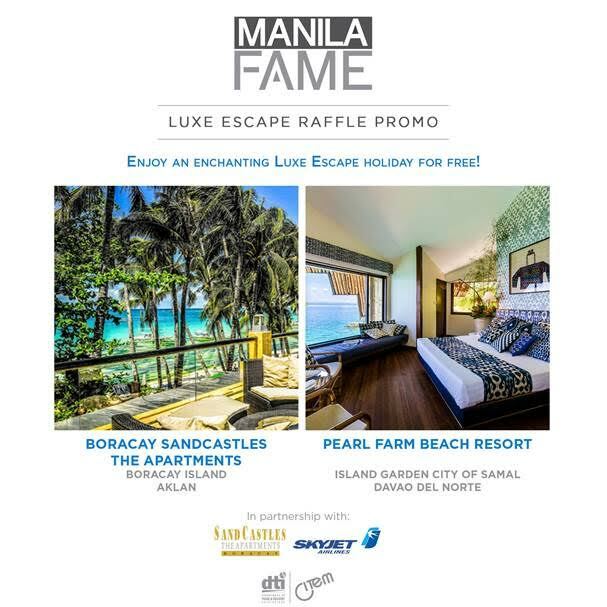 However, the city of Dagupan is more than the bangus recipes and the expanding presence of fusion dishes and contemporary food innovations that can be found in its ever growing inventory of restaurants and cafes. 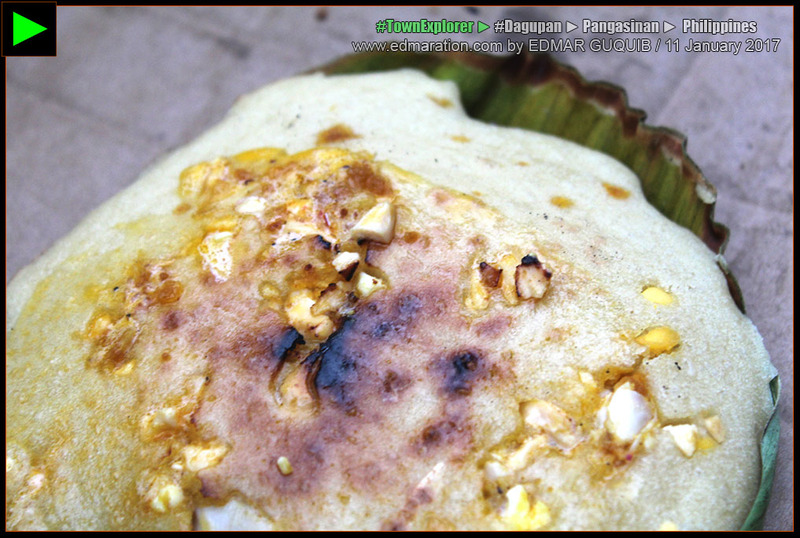 Earlier this year, I did a walking tour in the downtown district of Dagupan and I found out that the local tupig and bibingka vendors are back near the city plaza! As far as I'm concerned, I think they were gone for a while. On my last visit, I found out that the local vendors stationed at the corner of Burgos Street and AB Fernandez Avenue near the Dagupan City Plaza are back! Tupig is basically popular in Northwestern Luzon and in some Ilocano speaking towns in Central Luzon. 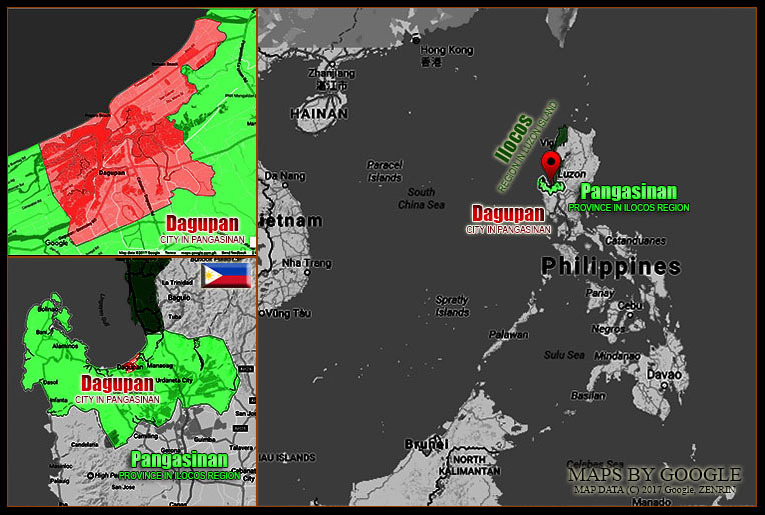 Although Dagupan is not technically an Ilocano city, this city takes pride of its Dagupeño tupig. 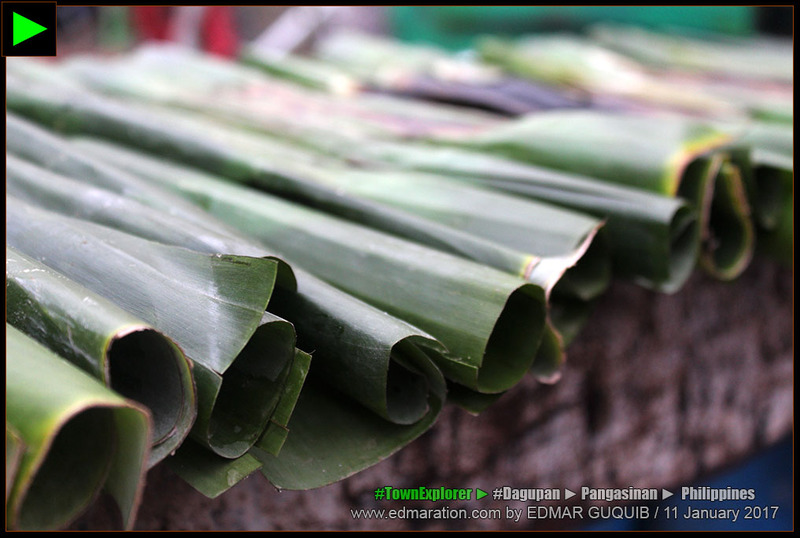 Tupig is made of ground glutinous rice and coconut strips (or grated coconut in some cases) wrapped with banana leaves. 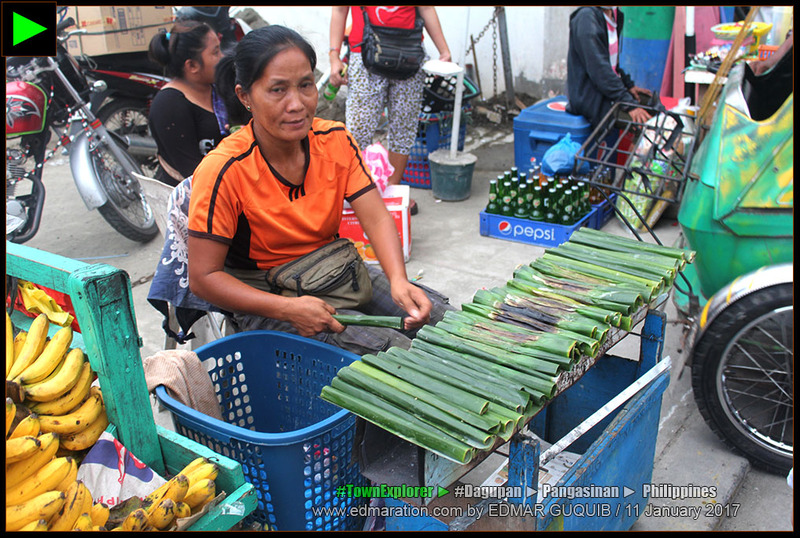 Some of the tupig vendors I saw were stationed near the AB Fernandez Avenue and Burgos Street corner of the Dagupan City Plaza. Moving on, I think it was my first time to encounter these bibingka makers and vendors in this part of AB Fernandez Avenue located near the city plaza. 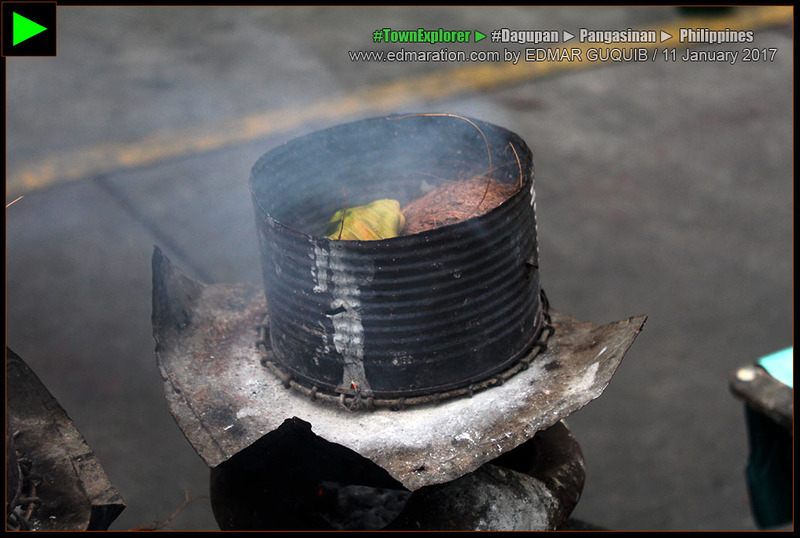 Bibingka, like tupig, is also made of glutinous rice and coconut strips cooked with a banana leaf too. 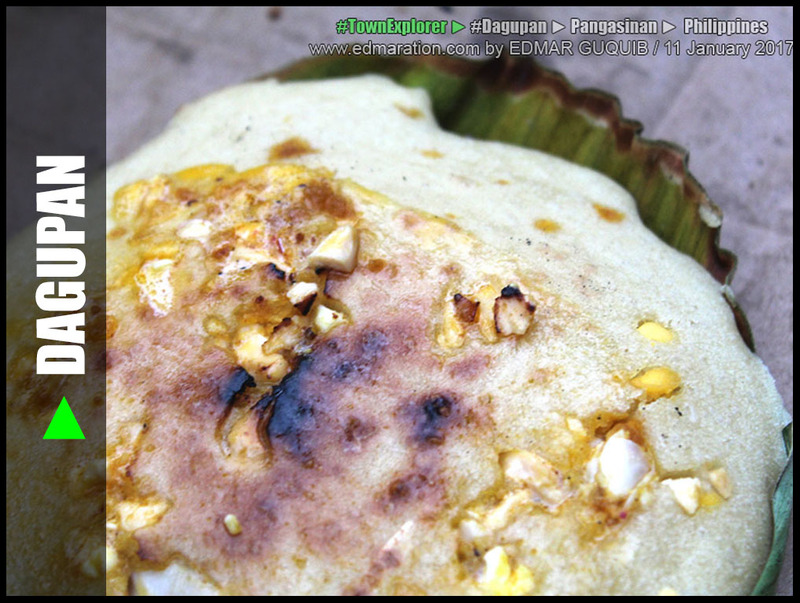 Unlike tupig, bibingkas are not rolled and wrapped with banana leaves. They're like cup cakes. 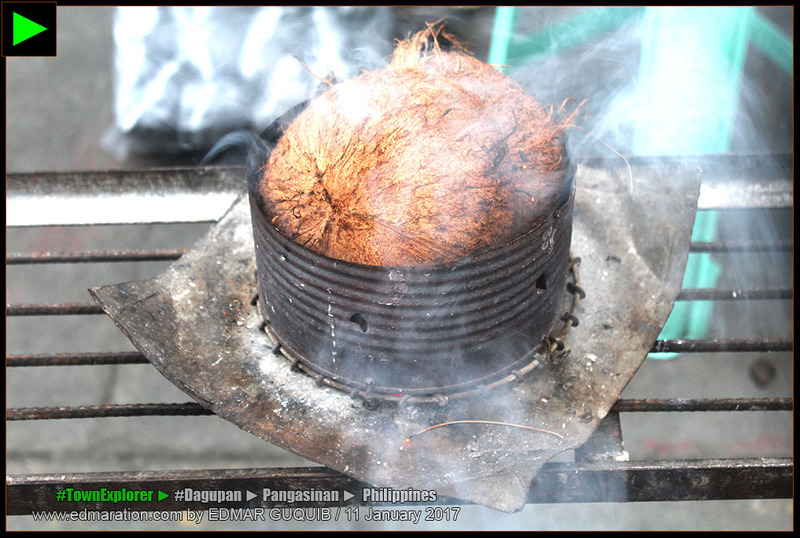 The bibingkas of Dagupan are cooked over charcoal. Bibingka makers cook them right in the streets. 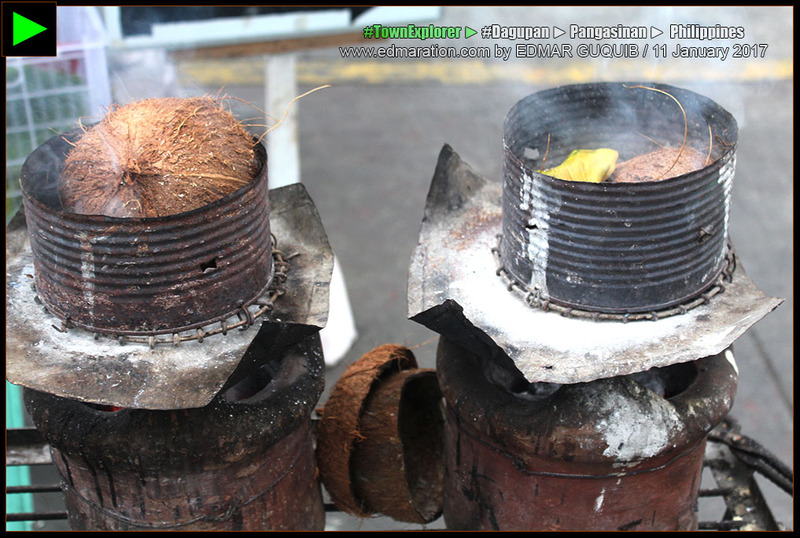 They put their bibingkas inside a can then cover it with a coconut shell. Dagupan's local food (well, aside from bangus) are usually not the highlights of its food scene but they're here to stay. The city has evolved (and continues to evolve) so fast with the mushrooming of new restaurants and cafés but the local food that make up the foundation of its local culture couldn't be replaced by any modern and posh restaurant. This post was filed under the category "Food and Cuisines." There is a section below where you can see other related posts from this category.